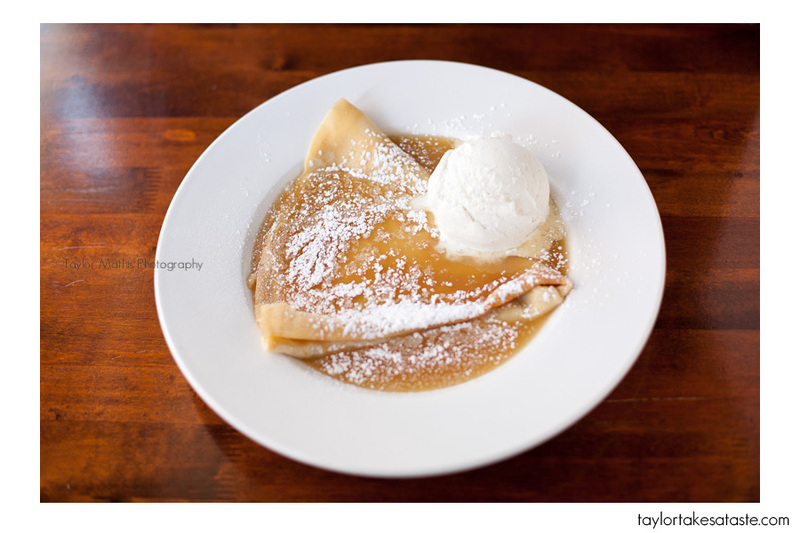 You are here: Home / Restaurants / Happy National Crepes Suzette Day! to the Crepe Cellar in Charlotte, NC. Prior to celebrating Crepes Suzette day, I had never eaten a Crepes Suzette. Without the knowledge of what the dish should taste or look like, I decide that this would be a great dish to let the experts handle. This turned out to be a great idea. 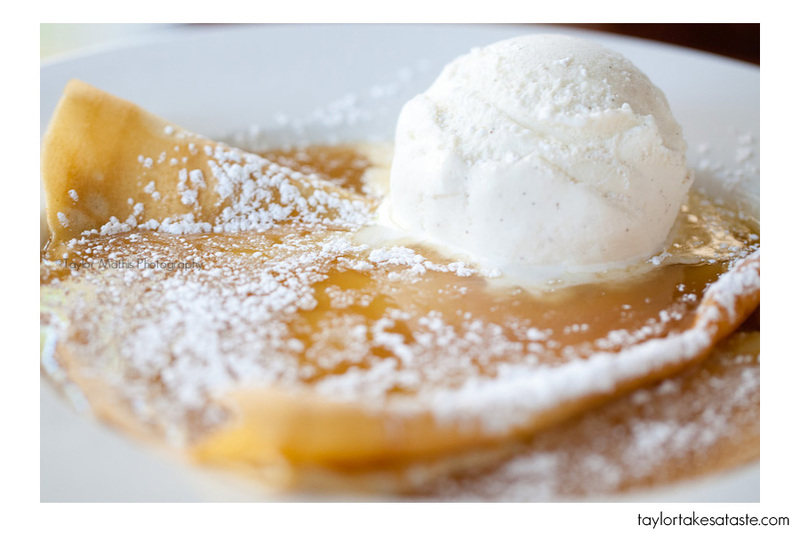 Traditionally, Crepes Suzette is a sweet crepe topped with a sauce made of sugar, butter, orange, and Gran Marnier. The chef flambes these ingredients to create the delicious caramelized sauce. This sauce is poured over the sweet crepes and topped with vanilla ice cream. It might look soup, but it is incredibly delicious. Now that I have tried and am familiar with what a Crepes Suzette is, I think I will have to try making one for myself. This recipe looks like a pretty good place to start. 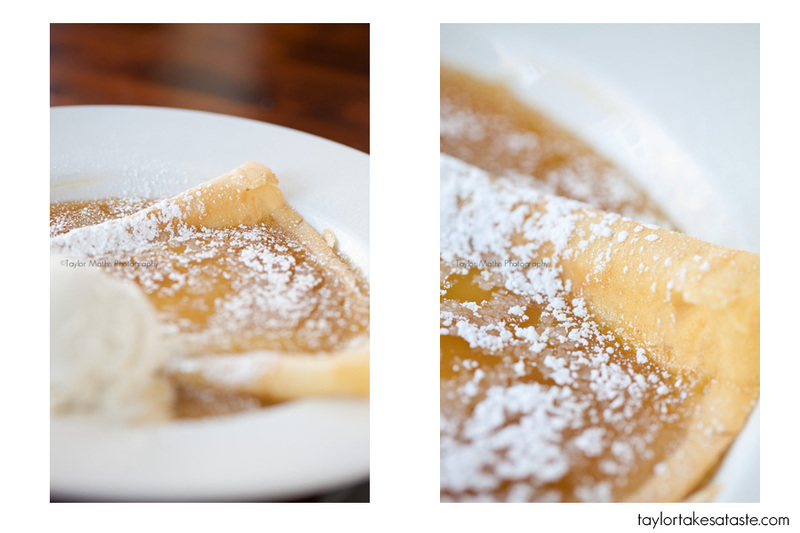 Happy Crepes Suzette Day and have a great weekend! Next week, I will show you how I took these shots inside a restaurant and give you a guide of how you can take great pictures of your food while dining out! Have a great weekend! Yummy. 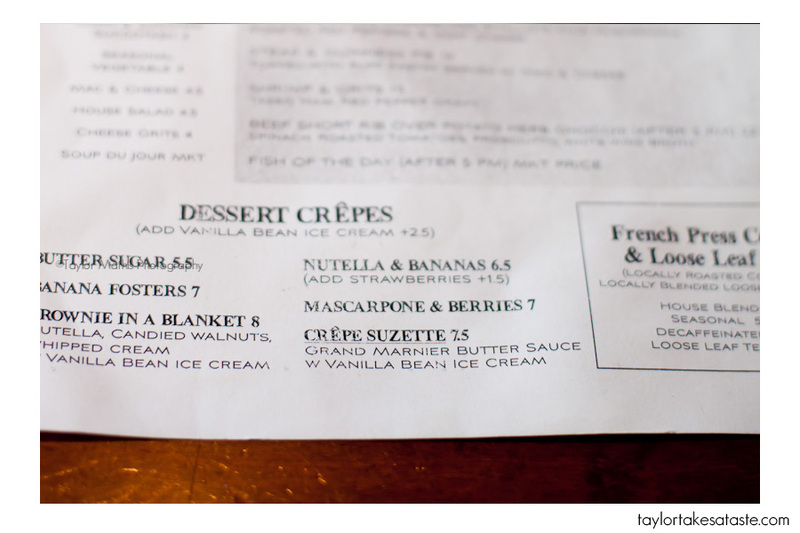 I’ve never had Crepes Suzette either, but this definitely looks like something I would enjoy! Mmh. I love crepes! I love the Crepe Cellar too!! I need to go back! I love their brie and pesto fries. Looking forward to the post about shooting in restaurants!! Mmmm, I love crepes! I could definitely go for that. Getting caught up in my blog reader – how random is this: May 6th, in addition to being “national crepe suzette day” is also my birthday. And I celebrated my birthday in Paris – by having a freakin crepe suzette! No really. Happy Birthday! That is probably the best way to celebrate Crepe Suzette day ! 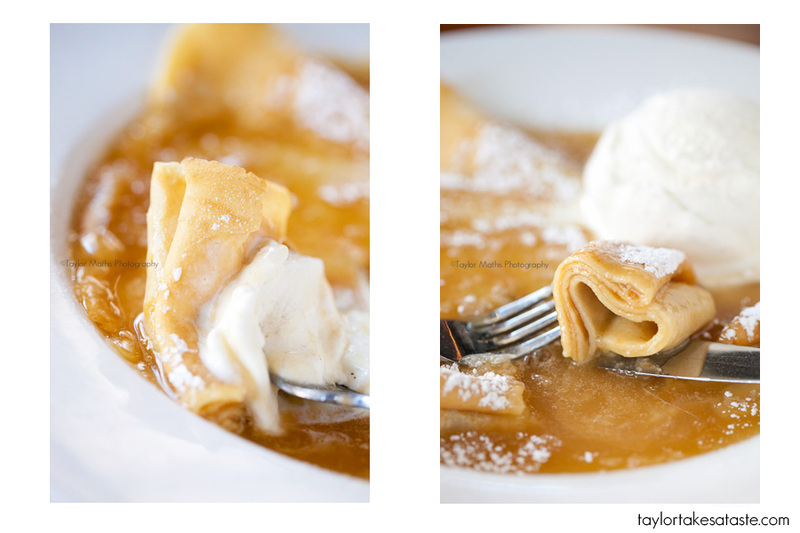 Is 6th of May really National Crepe Suzette’s day? I just made this recipe a week ago, and I love it!